We had a friend over last weekend, and her sweet little girl had the worst diaper rash. I’m talkin’ major owwie. And we’ve been there. We’d found a recipe for a diaper cream and were elated that it was labeled as cloth diaper friendly. In the world of cloth diapering, this is a big deal. 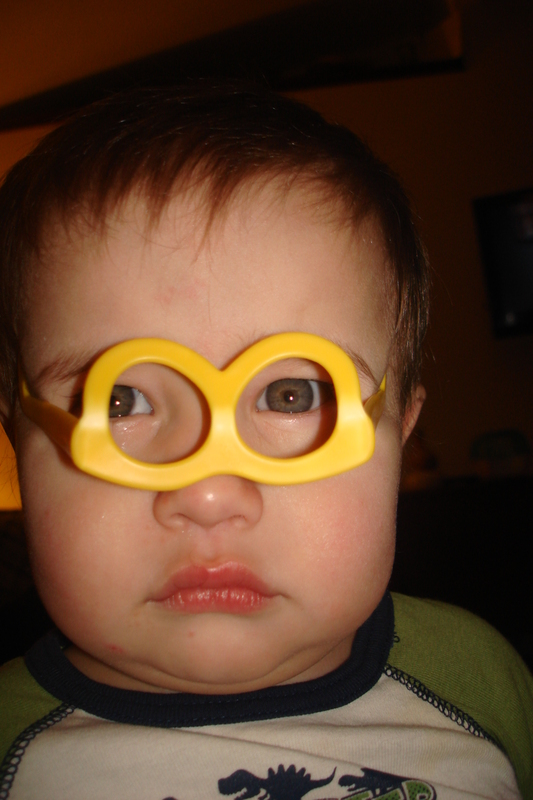 (Regular diaper creams can cause repelling which is definitely no bueno.) We thought this was the perfect excuse for us to make a batch of the diaper cream! The sweet little one had her rash covered in it before going home (and we set them home with a jar too!). By morning, the rash was gone. By the following day, the rest of the owwies the rash had caused were gone too! That is pretty amazing! Hubbyman is so thrilled, he wants to go into business! We have yet to use it on Littlest. (Hubbyman said he half hopes he gets a rash, just so we can try it out.) If it’s as good as my friend says it is (I’ve used it on my hands and it feels great! ), then we probably will have to do just that! I’ve spent a good chunk of time working on my syruping pictures, but they’ve been making themselves more difficult than seems necessary. If you’re interested in the cream, you should definitely go over to My Big Cloth Adventure and check out her story of how well the cream worked for her! Ok, ladies and gentlemen… today I have another review. I thought about spacing them farther apart, but decided against that. Thankfully, these are products that I want to share with you, so that was all the extra incentive I needed! 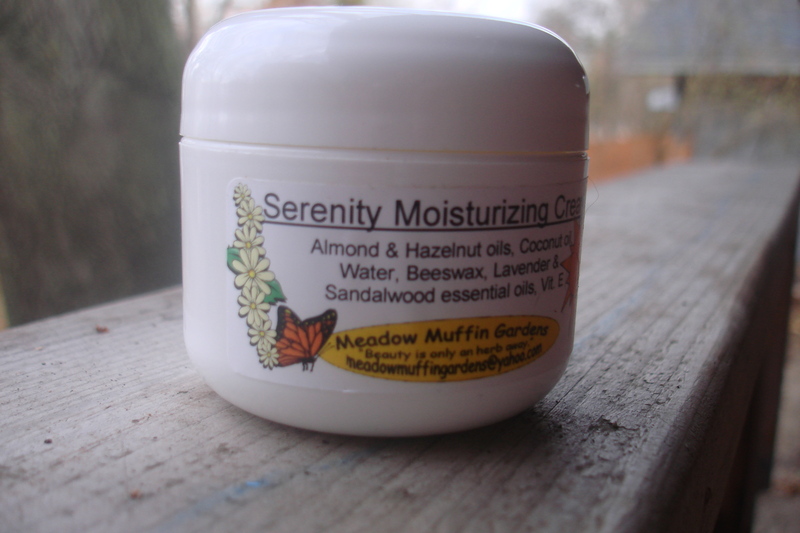 And now, let’s talk about the Serenity Moisturizing Cream! Ideal for all skin types, a soothing facial moisturizer utilizing only natural wholesome ingredients. Ideal for sensitive allergy prone skin. Essential oils lavender and sandalwood both offer antiseptic and anti-inflammatory benefits. It can be said that lavender essential oil is a combination first aid and beauty kit. Its antimicrobial, anti-inflammatory and analgesic properties make it beneficial for blemishes, sunburn, bug bites and skin regeneration. The aroma can be stimulating as well as relaxing. Exotic sandalwood essential oil offers an earthy, sensual scent with subtle lingering power. Besides its wonderful hydrating effects for dry skin, sandalwood is a balm for the mind and spirit as well. Rich in nutritional value almond and hazelnut oils absorb quickly into the skin without leaving an oily residue. They are light and odorless which are a plus in body care products. Both oils are unrefined and cold-expeller pressed which means there are no chemical solvents used to extract the oils. Coconut oil is added for its cool, creamy texture as well as its help to stiffen the cream. Its unique molecular structure allows it to easily absorb into your skin while not leaving behind a greasy film. The natural antioxidants found in coconut oil fight against free-radicals which damage connective tissue and cause the skin to lose elasticity and wrinkles. Did you hear that? fights against free-radicals, which cause the skin to lose elasticity and wrinkles?! Um, sign me up! I’d definitely give this product 4.8 out of 5 stars. The .2 are pretty much me… and the fact that I just hate the fact that I’m getting to the age (ok, fine, so I’m to the age) where I really do need a moisturizer routine for my face. You know, to continue fighting those free radicals! Wondering why you should take the necessary measures to clean out your medicine cabinet, dump all the bought-at-a-drug-store/pharmacy/department store products? When pregnant, women are encouraged to forgo lots of products. Especially ones that go on the skin. Cleansers, moisturizers, and the whole gamut of facial products. Why? Because the chemicals and preservatives that they’re made up seep into your skin, and can have adverse affects on the development of your baby. Ok, hold up… if something can cause really awful things to happen to my baby in my belly, what kind of things is it doing to my body? Or yours? See… that’s what got me to this point. So, when you reach that point, I’m here to help. Along with the Meadow Muffin Gardens. They have graciously given a coupon code for anyone who orders! So…first, go to facebook and “Like” Meadow Muffin Gardens, follow them on twitter, then go to Etsy and favorite Meadow Muffin Gardens, then you can go check out their lovely blog, and then their website. When you get to the buying products part, add in the code: JUSTFORU for 15% off (at checkout -on her etsy site! !-) whatever you buy from her etsy store! It’s a fantastic deal and a great way to get you started on your way to healthy insides and out! And don’t forget to keep entering yesterday’s giveaway! “Like” the post (on facebook and wordpress), comment here on the blog post, follow the blog by email, follow by twitter… are all things you can do for extra entries! So make sure you do! Disclosure: I received the products mentioned above in exchange for this review; a big thanks to Stacy at Meadow Muffin Gardens! No monetary compensation was received by me. This post is entirely my own opinion and you may find it differs from yours. At the encouragement of a friend and fellow blogger, I reached out to some etsy dealers. Why you ask? Well, I’ll tell you. In our efforts to go chemical free, homemade, environmentally friends, and you know- cheap… I’ve been making my own cleaning products for a while, along with dishwasher detergent. And we’ve made toothpaste (we finally have one that I looove! ), made some lotion (it needs some tweaking), and continue to test out new and new-to-us ideas for personal care products. There is one thing I’m a little afraid of. Laundry detergent. I know it’s really not difficult. I even made some once. I didn’t love it. I didn’t love making it and I didn’t love using it. So when trying to decide what kind of products I wanted to do reviews on- it was a no brainer. Personal care products and more importantly- laundry detergent. A family of 5 goes through a lot of laundry. I’ve always got one of two types of laundry mountains going on- needing to be cleaned or needing to be put away. Worst case scenario is when you have both! Yikes. The first two lovely ladies to reach (back) out to me were for two different products. One is laundry detergent! And the other is a moisturizer! Today I’m going to give you my review of the laundry detergent (I’m hoping that gives me extra incentive to get my laundry done… and then maybe put away. Maybe.). Back to the soap, if you’ve been looking for a more cost effective, eco-friendly, vegan, or “green” laundry soap, then this is it! Her handmade soaps have three ingredients! As a mom of kids with allergies (and thereby prone to Eczema), I was pleased to read that it’s a great product for people with sensitive skin, babies, and yes, even people with Eczema (she has two kids with it as well and cites that using natural cleaners in her home really makes a difference!). Upon receiving my package of four different kinds of laundry detergent (Lavendar, Clean and Clear, Original, and their newest scent- Spring Has Sprung), I left it on my counter. I kept walking into my kitchen thinking what the heck is that smell? (It didn’t smell bad, just a little out of place in the kitchen!) Now that I’ve moved them onto my washer, I am loving that smell! Seriously! As a cloth diapering mom… sometimes a little scent is a good thing. I should also note two things about the scents. 1) The lavender is a lighter fragrance than the Spring Has Sprung. 2) Neither of the scents are incredibly strong after being through the wash. The lavender is very light, and the Spring Has Sprung, while your clothes will smell like Spring has Sprung, it won’t be overpowering. Because I’d never used fragranced detergents, I had no idea how the clothes would come out smelling. To me it was perfect, it makes the wash smell wonderful (and therefore my laundry room smells good!) and my clothes come out clean and smelling good without smelling like I’ve got a really potent perfume on. Got it? Good. Our of 5 stars… I’d give this laundry detergent mama all five of those stars! Want to know something almost as fantastic as the laundry detergent? She has been gracious enough to offer THREE of you a Multi-Pack of her laundry detergent! The multi pack contains a sample of each of the scents. Enough to do 10 loads of laundry! How do you enter? Well, I’m so glad you asked! Just click right HERE which will bring you to my facebook page, under the lefthand column, click on Giveaways and follow the instructions to enter! The contest ends Friday at midnight, so be sure to get all the points you can between now and then! And be sure to stay tuned for tomorrow’s review!! Disclosure: I received the products mentioned above in exchange for this review; a big thanks to Kari at Karbipbaby! No monetary compensation was received by me. This post is entirely my own opinion and you may find it differs from yours.